Nice article by GSMA by the way. Applause! While this is a very good Guide (congrats), I would say, this is less for beginners than for actual users who know the system already. I was using Android for 5 months.I thought it was the best but after using iOS I changed my idea.iOS is the best but when I used Android in Samsung phones I saw that it's great too.Both are good and after you jailbreak your iDevice you would see that there aren't any limitations more.In my opinion,Android is great in just Samsung phones and good in others but iOS is great in every device.Just Apple and Samsung. GSMARENA should post such reviews for Windows and iOS phones too!! [deleted post]if there is for beginners then there will be for average and advance users, which we cant wait and asking for GSMARENA team. right? In EU rooting does not not void the 2 year Manufacturer Warranty! I think "Smart Keyboard Pro" is the best keyboard! "Super Video, Floating and Popup" is a good videoplayer! Excellent work done by GSM Arena team. Wish to receive such articles in near future. "Ocean HD" is the most beautiful live wallpaper, I even use it on my S3 lockscreen! AnonD-252, 30 Dec 2012Chrome and Firefox and Opera mini are among the worst browsers for Android, Maxthon is the wor... moreI think you dont know how to use opera mini therfore you called it a worst browser. Go & see top free apps in store. 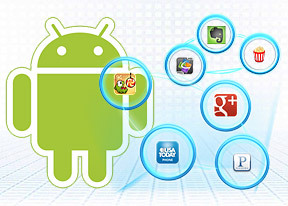 Chrome and Firefox and Opera mini are among the worst browsers for Android, Maxthon is the worst of all browsers! Dolphin vas good but "Boat Browser" is the best browser today and it easily plays Adobe Flash after installing the Adobe Flash .apk from Adobes archives! Opera Mobile is a good browser on ICS but not on Jelly Bean because it no longer supports Adobe Flash! good one....you did not mentioned anynthing about antiviruses...are they required??? AnonD-77698, 30 Dec 2012I cant help but notice that there is not a section for video players. I mean the stock android... moreAnti viruses on Android are a scam. :-) . I cant help but notice that there is not a section for video players. I mean the stock android is capable for playing music, but users have more problems playing the different video codecs because frankly, the video formats are more diversified. Video players like MX player, VLC player, etc. And it would be better to include an Antivirus section as well. F secure, Avast, ESET, etc. at first the title says Android for beginners, im thinking that this review is going to teach us how to change wallpapers and ringtones like the old phones and you are now the happiest person in the world. so there are more we can do, and there are more we can get from android. Android i love it more. You missed ttpod, the best music player with 10 band graphic equalizer, insync lyric & album art.